Incredible Clear Tone in a Tiny Package! 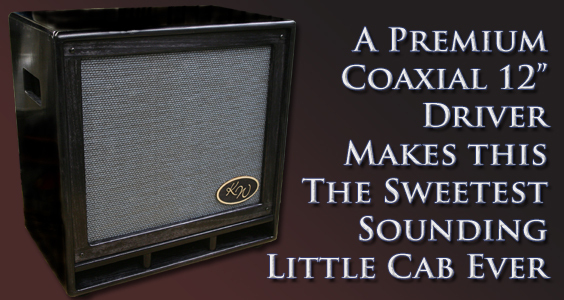 Do you need a small versatile cabinet that sounds huge? Or perhaps you've been searching for a cabinet that can accurately handle upright Bass. This is the cabinet for you. The SB-112X is a small lightweight cabinet that features a Beyma brand Coaxial 12" driver that delivers incredible detail but has a deep punch as well. The standard model handles 250 watts, but higher powered models are available upon inquiry. The Variable level for the High Frequency driver has such a smooth transition to it that you don't even hear a separate speaker, they sound as one. Lightweight at only 38lbs, but delivers tremendous sound. For the ultimate small setup, use two of these spread slightly apart and you'll have a tremendous spread and response.